Mountains surround the team as they arrive to registration for the road race. All the members are ready to race. A high level of uncertainty is coming from the course. Riders start fueling up. Bottles are filled with HEED, an insurance policy against not being able to eat while racing. A quick warm-up consists of the ascent of Sassafras. The climb is steep. It tops out at close to 30%. The strategy meeting is simple. Stay with the leaders on the climb. Attacks will be futile. The climb will determine all. A neutral start up a steep driveway creates the setting for the first scene. The first lap up the climb sees lots of hopes dashed. The leaders press on. 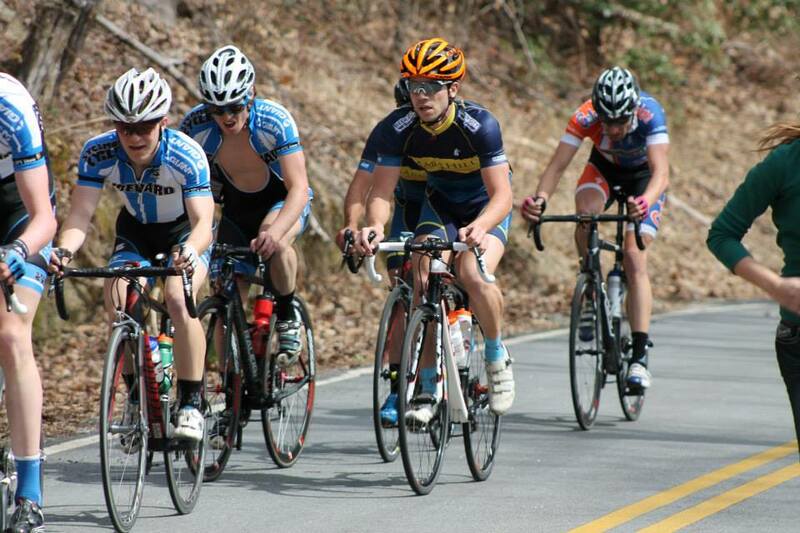 Mars Hill is represented by Tim, Chad, Mauro, Hunter and Jacob in the lead group. A flat! Mauro is out. The peloton snakes over rollers. It plunges down the descent. There is no place to rest. Riders breathe heavy. The officials lap counter shows two-to-go. The next ascent of Sassafras looms. A hundred front-derailleurs drop. Grandma gears are the norm for the next eight minutes. The climb gets steeper and steeper. Heart rates rise with the climb. Some riders get water. More riders get dropped. The agony is unbearable. Seats are not used at these gradients. All that can be done is to stand-up and grit one’s teeth. The climb starts to flatten out near the top. 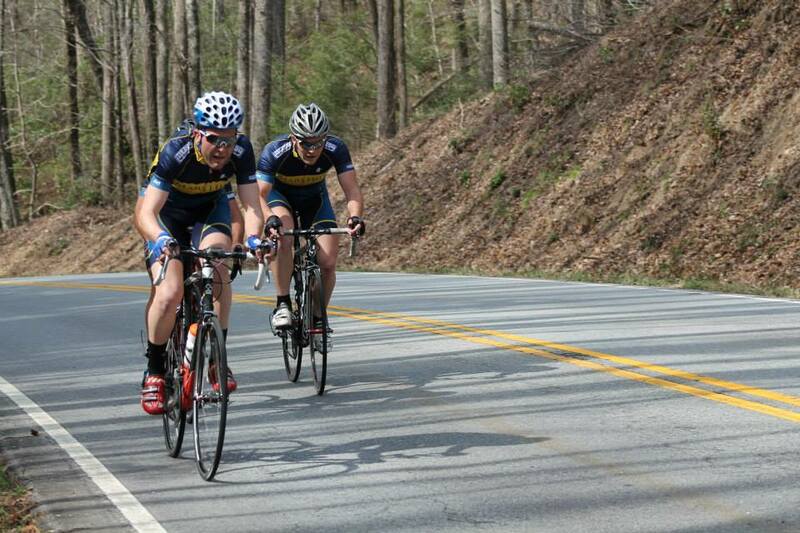 Chad and Jacob are the only Mars Hill riders left. The other survivors look around. Fifteen are left. They work together. It is their only chance. The rollers bite more this lap. The descent blurs their vision. They are close to the edge. The lap-counter does not bring reprieve. It says one-to-go. Riders see Sassafras around the corner, instead. Chad moves up. Jacob snatches a feed. They both hang on by a thread. Other’s threads are cut. The group is whittled. Much like the locals crafting wood. The group of eight that made it over the top include Chad and Jake. Rest does not come. Attacks fly. There are still rollers left. Two riders escape. The rest are too tired to chase. A solo attack goes. Jake pulls. Chad pulls. The chase reels in the solo move. The final climb is reached. The riders limits are reached right after. An attack is followed by a counter-attack. Then Jacob breaks free. He rides in for third. Chad counters his companion. He rides to fifth. Relief. 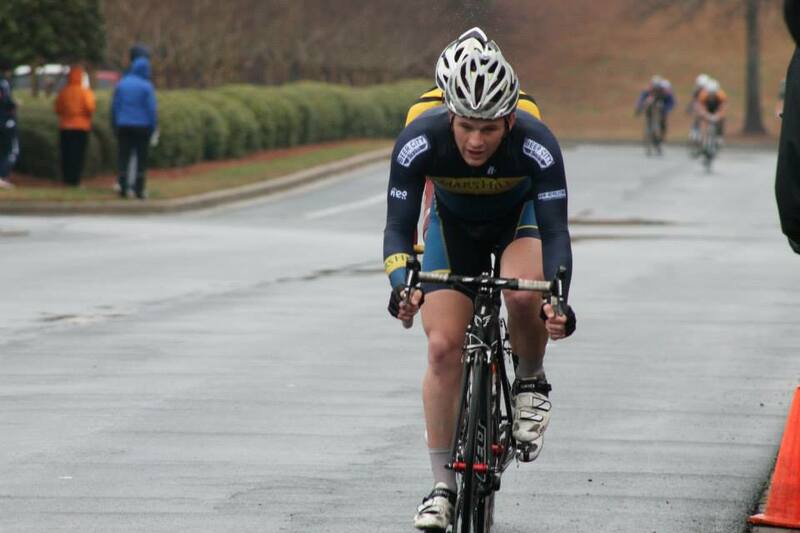 The crit was held on a flat, four-corner parking lot that was being submerged by icy rain. 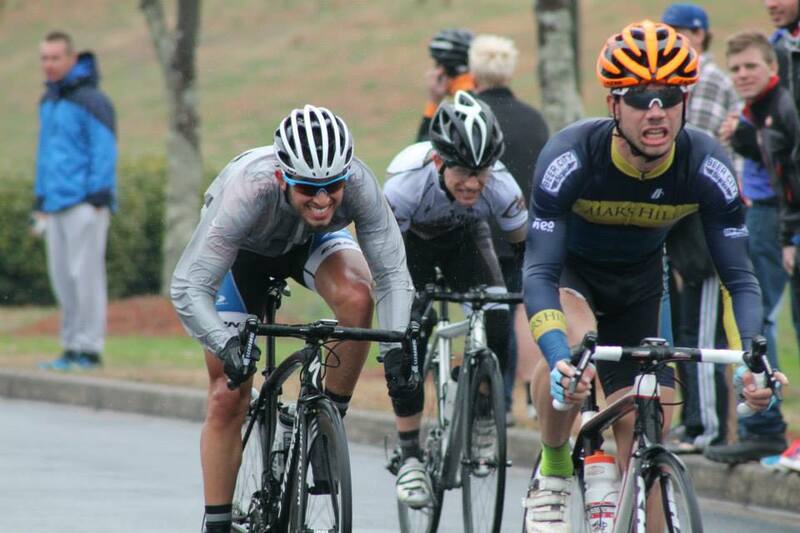 Tim covered all the early moves and rode himself into a two man breakaway with 8 laps to go. As he is working valiantly at the front, the other team members start sifting to the pointy end of the pack. Hunter and Chad cover all attacks. John, John, and Jake start getting ready to sprint. With a lap to go, Mauro moves from twentieth place into the top-ten with Jacob on his wheel. The Johns are right behind. Attacks flurry and everyone starts giving it everything. Jacob starts sprinting, the leaders in sight. A crash takes out John Butler, John Croom and Chad. Tim is outsprinted but holds onto second. Jacob finishes a moment later in fourth with Mauro a few places back in ninth. No serious injuries occurred in the crash, thankfully. 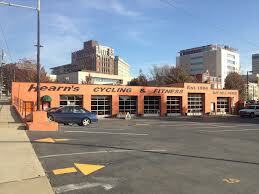 Hearn’s Cycling and Fitness is located in Asheville, NC, at 28 Asheland Ave in downtown Asheville. Hearn’s is the longest continuously run bicycle shop in the nation, having been established in 1896 by the Hearn’s family, and is now the oldest business is Asheville. Hearn’s is now run by Clark Hollins, a longtime cycling aficionado whose love and passion for all things cycling shows through in how he runs the shop and how he treats his customers. The last Hearn’s family owner was in the early 1990’s, with two more owners before 2003 when Clark became the latest owner. Hearn’s is unique among Asheville bike shops. 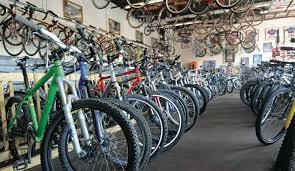 There are 10 bike shops in Asheville, each offering their own set of customer accommodations, but Hearn’s finds its niche by specializing in second hand bicycles and parts plus the excellent knowledge and experience of the shop employees. To the bargain hunters, penny pinchers, college students, those limited by tight budgets, or anyone who wants the best bang for their buck, second hand equipment is perfect. Those walking into Hearn’s are met with an unusual sight: There are bikes everywhere, large bins of handlebars, stems, and seatposts near the checkout, and multiple display cases holding shifters, dérailleurs, cranks, cassettes, and anything else bike related one could think of. Often, the owner, Clark, is chatting amiably with a customer at the checkout register while there are people perusing the many asides of bicycles of all sorts, shop mechanics working behind the work counter, and overall a happy buzz of bicycles in the air. 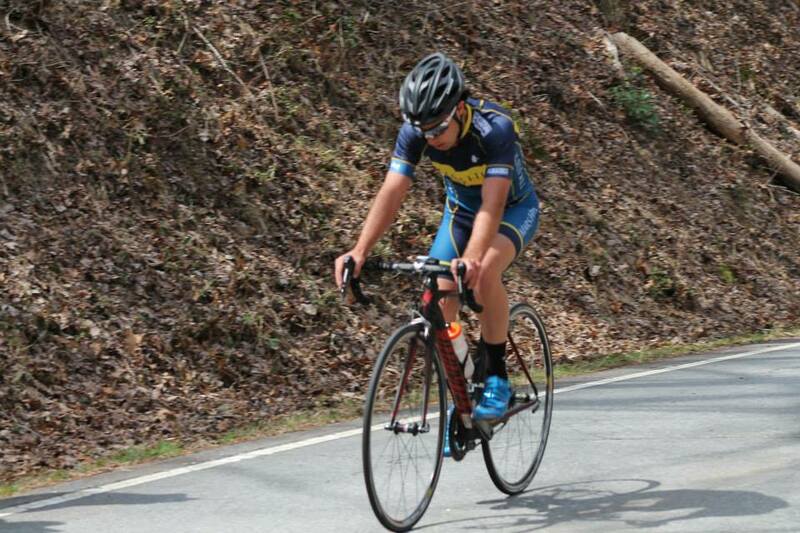 Hearn’s has supported Mars Hill Cycling since the very beginning, supplying the team with boxes of brand new water bottles every year, loaner bikes as needed, and plenty of solutions to last minute mechanical issues. Go visit Hearn’s, meet Clark and his employees, and have a great time!